Northwest Film Forum & Earshot Jazz team up to present films that shed light on the vibrant history of this great American art form. For ticket information, visit nwfilmforum.org. Presented by Northwest Film Forum. 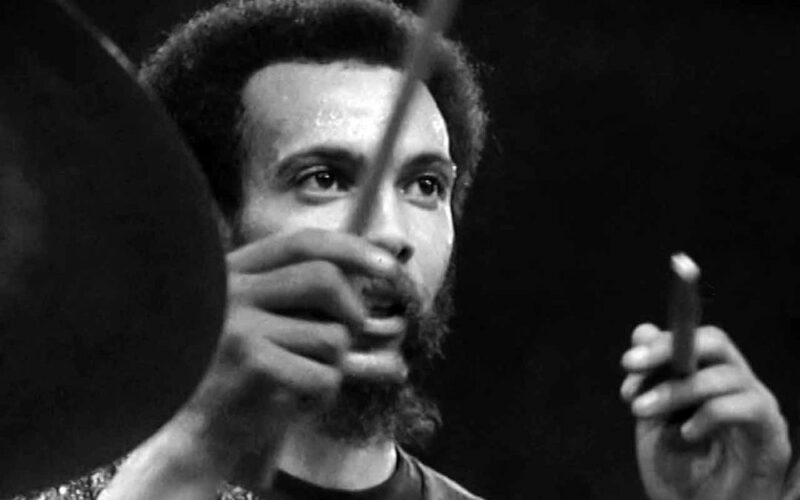 Milford Graves Full Mantis, directed by Jake Meginsky and co-directed by Neil Young, is the first-ever feature-length portrait of renowned percussionist Milford Graves, exploring his kaleidoscopic creativity and relentless curiosity. Graves has performed internation- ally since 1964, both as a soloist and in ensembles with such legends as Al- bert Ayler, Giuseppi Logan and Sonny Sharrock. He is a founding pioneer of avant-garde jazz, and he remains one of the most influential living figures in the evolution of the form. The film draws the viewer through the artist’s lush garden and ornate home, into the martial arts dojo in his backyard and the laboratory in his basement—all of this just blocks from where he grew up in the housing proj- ects of South Jamaica, Queens. Graves tells stories of discovery, struggle and survival, ruminates on the essence of “swing,” activates elec- tronic stethoscopes in his basement lab to process the sound of his heart, and travels to Japan where he performs at a school for children with autism, igniting the student body into an ec- static display of spontaneous collective energy. Oscillating from present to past and weaving intimate glimpses of the art- ist’s complex cosmology with blister- ing performances from around the globe, Milford Graves Full Mantis is cinema full of fluidity, polyrhythm and intensity, embodying the essence of Graves’ music itself.